It has the beauty of porcelain with strength of cast iron yet lighter weight. The insulated construction absorbs waste disposal noise and resists stain, rust, oxidation, chipping, and scratches. The surface can be polished with ordinary liquid sink, countertop, or auto polish to maintain beauty and luster. It is versatility designed undermount installation. Mounting clips required for installation (not included). All Thermocast brand Cast-acrylic sinks are certified by the National Association of Home Builders Research Center and carry a Lifetime Warranty. 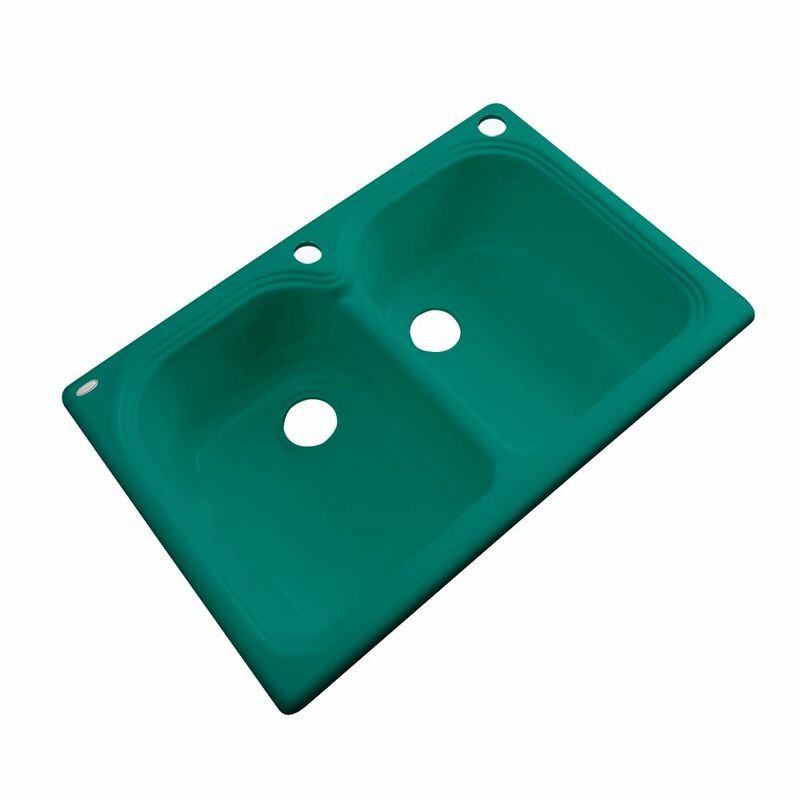 Hartford 33 Inch Double Bowl Verde Kitchen Sink It has the beauty of porcelain with strength of cast iron yet lighter weight. The insulated construction absorbs waste disposal noise and resists stain, rust, oxidation, chipping, and scratches. The surface can be polished with ordinary liquid sink, countertop, or auto polish to maintain beauty and luster. It is versatility designed for both Drop-in and undermount ready for quick and easy installation. No mounting clips required for Drop-in installation. Plumbers putty for drains and silicone sealant for perimeter of sink is all that is needed. All Thermocast brand Cast-acrylic sinks are certified by the National Association of Home Builders Research Center and carry a Lifetime Warranty.